Copy and Paste clean HTML from MS Word was never easier. From version 5.0, we added this feature with special HTML cleaning algorithm so that, you can simply copy the content from MS Word and click the Paste MS Word button to insert the content to the editor. 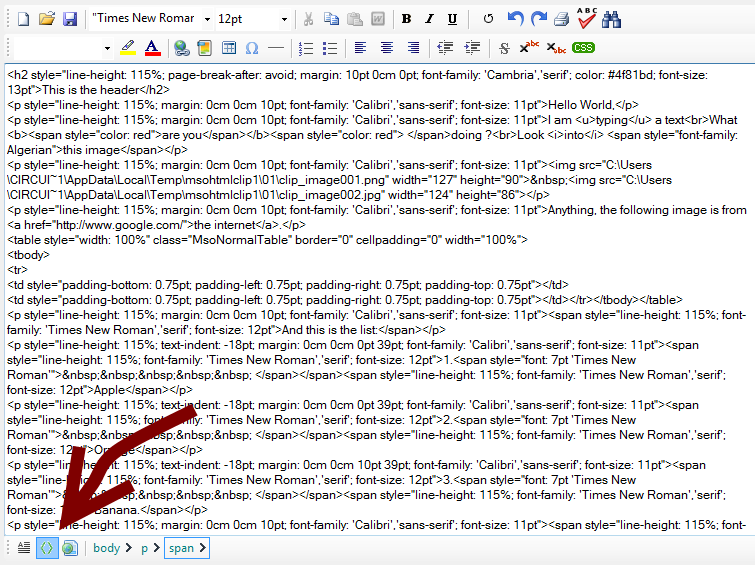 Once the content is inserted, you will find it very clean HTML. 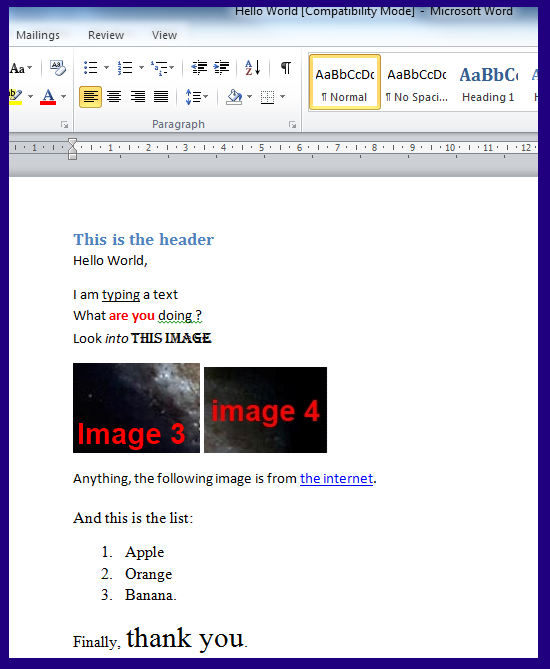 Say you want to copy the following content from MS Word file. 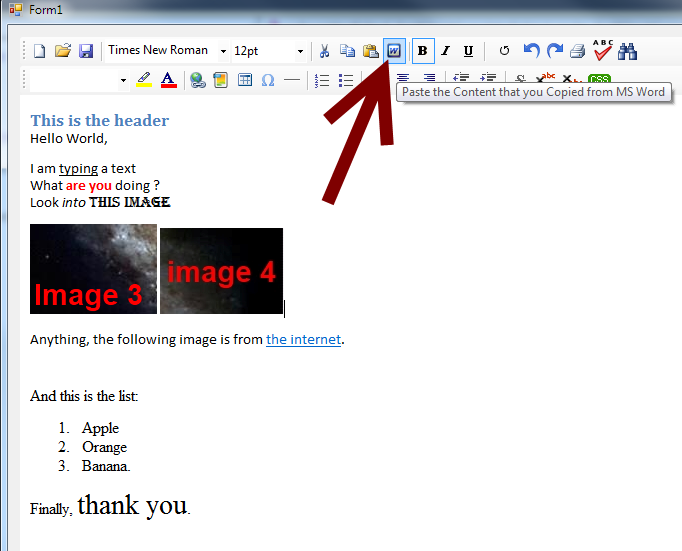 Once you copied this content, simply click the button for pasting from MS Word as shown here. Once pasted, if you check the HTML, you will wonder that, it is really clean HTML.